The biggest event in video games is closing in; E3 is heading to the Los Angeles Convention Center. The yearly expo showcases brand new technologies and developments, along with a sneak peek at upcoming games – from the biggest names to indie developers. The Electronic Entertainment Expo takes place June 14-16 2016 and will feature presentations from Sony, Nintendo, Xbox and more of the biggest names, all from June 12th onwards. Booths on the show floor will be available for a hands-on experience during the expo itself. There’s a lot to take in, so we’re going to break down some of the biggest things to keep in mind about E3 2016. To make sure you don't miss a second of the action, here are the most important events and times to keep track of. These are the main places where you'll see new reveals or any brand-specific tech, so if you're a fan of a particular brand, be sure to tune in at these times. All of the conferences will be live-streamed to the public via Twitch.tv or directly on the E3 site itself. Note: Nintendo isn't hosting a press conference in the same style as other brands. They're instead hosting the Nintendo Treehouse, which will offer livestreamed gameplay and behind-the-scenes information on a more intimate scale. Rumours have been rife with talk of Sony’s mid-cycle upgrade to the extremely successful PS4. Currently referred to (unofficially) as either the PS4.5 or PS4 NEO, this potential hardware upgrade could make a showing at E3 this year. The revised console is said to be focusing on improved hardware specifications to allow for 4K gaming. This is a pretty big deal, considering that 4K TVs are pretty much the norm for home entertainment, yet our trusty consoles are still fighting to deliver a 1080p experience at reasonable framerates. Of course, a 1080p game played on a 4K TV will be visually improved to a certain extent, but if Sony delivers genuine 4K gaming to our living rooms, it’ll surely be a runaway success. The fact that there will be far less hardware on show than previous years only makes this even more important to keep an eye on. There’s more hype around VR than any other technology in the gaming world right now, with huge names aiming to take the VR crown. We already know that Sony is preparing their own VR headset for use with the PS4, whilst Google has Google Cardboard and Samsung has the Gear VR for a mobile virtual reality experience. The two big names, however, are the Oculus Rift and HTC Vive; the former being pushed by Facebook and the latter by gaming giants Valve. 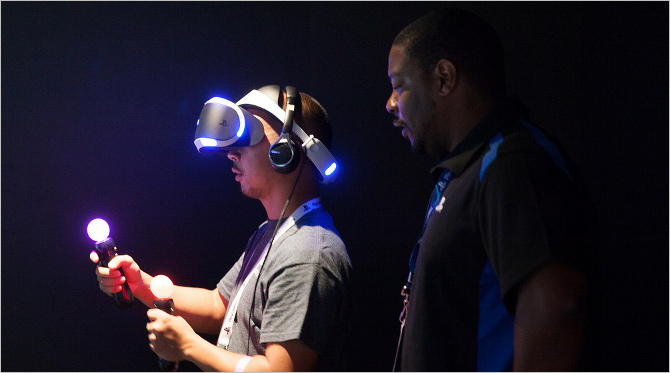 Considering even the creators of Steam are heavily invested, it’s no wonder that VR will be on full display at E3 2016. So this is a bit of a no-brainer for an event dedicated to gaming, but there’ll be quite a few big titles that should make a showing. The Legend of Zelda will make an appearance as confirmed by Nintendo. It’s been delayed from the original release of 2015 to be launched simultaneously on their new home console the NX (set to launch March 2017) and the Wii U, so it’s about time some more information was given to patient fans. Square Enix have two major talking points this year; the long-anticipated Final Fantasy XV and the surprise announcement of a Final Fantasy VII remake. While Final Fantasy XV has had two demos released, a release date of September 2016, and plenty of other information, the fact that it’s been 10 years since we saw the first trailer for this game makes any bit of info important. Final Fantasy VII, on the other hand, has been rabidly requested for years, with Square Enix stating in no uncertain terms that it was very, very unlikely to happen. When they finally let a trailer slip, the internet went insane for a moment, then calmed down and praised Square Enix for revitalising what is considered to be an all-time classic. There'll be a huge number of titles being revealed and shown off during the event, so keep an eye out for some sneaky glimpses at the next big hits.